Tehuti, an online web portal specializing in Internet-related services and products, encourages people, in its latest advert, to make a start on their journey to success. 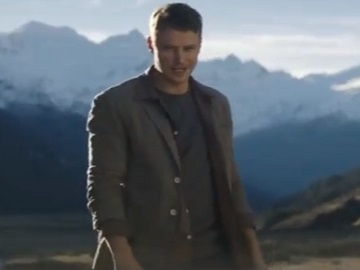 The 60-second spot features a man as he walks down a field and delivers an empowering message about starting. “Start. There. That’s all it takes. You’ve started. When we start, everything is possible. Starting, it’s life. Not sure about that life, start your life. Then start making a dinner. Truck. Starting, it’s progress. Starting, it’s movement. Starting, renewing and returning into a new 2.0. Even a setback is just a new start, with new possibilities. Starting is keeping going. Not sure what happens next, the world is perfecting as we go. Starting is the single greatest force in the universe and with everything we need right here, right now, so start your Big Bang,” the man says, turning into different characters along the way, from a “regular” guy to a rock star, to a dancer, a robot, a bearded adventure with a big backpack on his back, and more. “Tehuty World. The Journey Starts Here…” onscreen lines read at the end of the spot. Founded in 2015 by entrepreneur Samuel Burris, Tehuty provides a range of online services including but not limited to internet search and digital advertising services, music streaming, social networking, email marketing, web-mail, property search and management, e-commerce, video streaming, article and blog publishing, worldwide maps and directions, online radio and TV and a range of Apps. With the mission to “Keep The World Connected,” the media and technology company now has hundreds of thousands of users from across the world, who can access over 40 online services with a single log in.